So instead of the makeshift habitat provided for her, Anana will miss out on the worst of the cold weather, spending it inside a climate controlled area of the zoo for the remainder of the Windy City's big chill. 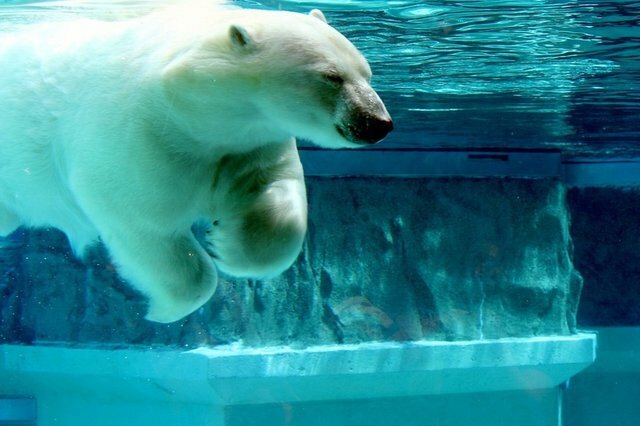 Anana is doing fine, but this is another reminder of how a life in captivity can change an animal, like say, a polar bear who can't be left out in the cold. ACTION ALERT: Zoos and Aquariums Hundreds of millions of people visit zoos every year, despite increasing public anxiety about animals in captivity. If you want to make sure you're at least visiting a zoo that makes efforts to be humane, make sure it is on the list of U.S. facilities accredited by the Association of Zoos and Aquariums; internationally accredited facilities are listed here by the World Association of Zoos and Aquariums. If you want to see whether a facility has any recent USDA violations, you can search this database. You can report a zoo or aquarium to the USDA here. And if you want to become active against having animals in captivity, Peta and Born Free USA offer places to start.